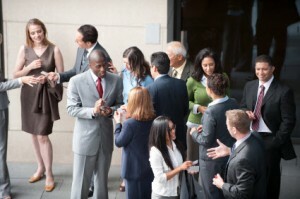 What each of the guests have in common is despite coming at eDiscovery from different angles, they all share a common bond of recognizing the power that networking engagement has in developing additional skills and perspective in this complex field. eDiscovery is not learned in a book or class room. It is learned from experience. By putting people together who have experience, networking participants can only become more knowledgeable on ways to tackle eDiscovery problems. If the networking group is comprised of diverse backgrounds, then the entire group learns about the different perspectives of eDiscovery. Again, a valuable lesson. Truth be told, no one knows everything about eDiscovery so it helps to get involved with a group to continue improving your skills. It sounds simple, but it is an under appreciated and underutilized learning method. However, this expert panel is committed to the idea and will share their insights into why networking works for them as a critical part of their eDiscovery education efforts.